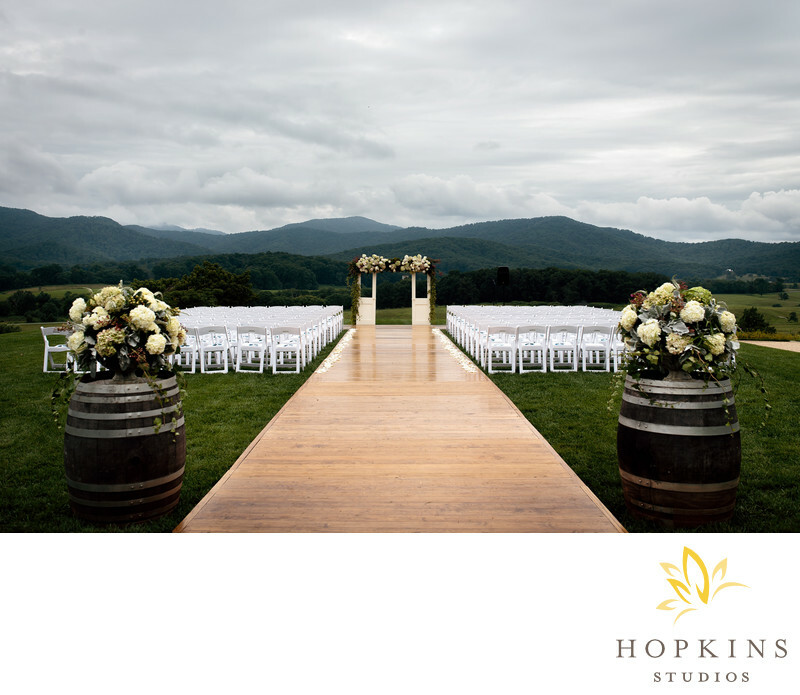 Megan and Sonny's second ceremony and reception at the Pippin Hill Farm and Vineyard, a stunning venue located at the foothills of the Blue Ridge Mountains. The jaw-droppingly gorgeous decor at the ceremony space included a wood floor aisle leading to a pair of doors adorned with vine and flowers with the mountain range as their backdrop. Keywords: Charlottesville Wedding (144), destination wedding photographer (156), Pippin Hill Farms (63), Vineyard Wedding (57), Wedding Wire (84).